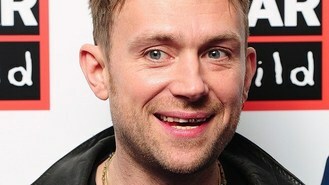 The Blur and Gorillaz frontman gave a teasing glimpse of his upcoming record with a 21-second video on YouTube, followed by the announcement through titles: "Damon Albarn, First solo album, Coming 2014." The black and white video, which shows Damon at a piano and microphone, marks the first official confirmation that the 45-year-old musician is stepping away from the two groups to focus on his own material. Damon previously revealed that XL Records boss Richard Russell will produce the album. "Making a solo record can be such a disaster, so I thought if we're going to make a record with my name on it, I should get someone to really produce it - take that responsibility away from myself. Richard does the kind of rhythmic side of it and I do everything else," he told Rolling Stone. He also told the Wall Street Journal that he had finished the album in July, adding: "It's quite intimate." Damon, who has been busy with Africa Express's latest compilation, previously released a 10" vinyl record, Democrazy, through his Honest Jon's label. The Wall Street Journal reported that Blur will start work on a new album, their first in 11 years, after Damon's solo album is released. Damon and Jamie Hewlett also have plans to revive Gorillaz as soon as "the time's right".